Rated 5 out of 5 by micheleappleyard from JUMANJI on Steroids! I loved it. As I said Jumanji on steroids. You get to enter into different parts of the game to save the other players. The puzzles are the same as the new ones that Elephant has come up with, But they are still fun to play. I think some of the scenes are a bit hard to make out, but that's half the fun. Rated 4 out of 5 by Kimmiechunga from Jumanji anyone??? I really enjoyed playing this game, challenges were great and it was all around fun to play against the gods. I really liked the feeling of playing Jumanji, I was waiting for a Robin Williams (RIP) type character to jump out at any moment. But seriously well put together fun game. Rated 4 out of 5 by ninja226 from A fun game to play I liked everything about this game, except the graphics were just so-so and not breathtaking. The mini games are not hard at all, but 99% of actions are intuitive, logical, or easy to figure out. It may be too easy for more experienced Fishies, but a good way to relax playing it. The ending is very abrupt, but perhaps the CE would remedy that. Even so, it's a fairly long game that goes by fast. Enjoy. Rated 4 out of 5 by catbag8717 from My Love For This Series Has Returned! BASED ON COMPLETED STANDARD EDITION GAME FULL RATING: 4,5 STARS Surface kind of dropped off with the last game, but when I heard about the storyline of this one, I was extremely excited. It was exactly like Jumanji, which is a great movie, so my expectations were high. Happily, this game turned out to be everything I wanted. The story has been done extremely well and got off to a great start. I liked the shifts in time from today to yesterday, and I liked that you could pick some responses. They made for a great starting point. The game is relatively well paced with no cases of “too much too soon”, but that being said, the game does get right in to the creepy stuff. The creep factor was really what sucked me in and made the game so much more enjoyable. The demo period was great, with a couple of twists here and there, and I was really enjoying myself. The demo ended with a brilliant twist (allowing us once again to choose our path), so I had to play on. Unfortunately, that was where the choosing ended. I was also annoyed to learn that what we chose had no impact on the game. I hope that, next time the developer chooses to let us pick some of the game elements, that our choices actually have an impact on the game. It would have made the game so much more exciting, and I maybe would have overlooked the blunder that occurred later in the story. The story continued on well after the demo, with an exciting cutscene to keep me hooked. From there, the story dropped off just a tad (as is expected with the middle portion of the game), but the creep factor stayed, and that's what kept me going. Then, in the middle of the game, from absolutely NOWHERE, came an amazing twist that sucked me right back in. I totally was not expecting it, so a fantastic job to the developers there. From then on I was looking forward to the end of the game. So I eventually reached the final minigame and was very much looking forward to the end. Having played all through the main game with a perfect story, I was expecting a perfect end. I didn't get perfect, but what I got was good. The ending WAS abrupt, and there WAS a bit of a cliffhanger, but that was to set up the story of the bonus chapter and was not necessary to the main game. This was one of my favourite stories of 2014 and I can't wait for Elephant's next offering. The gameplay was great, too. Elephant have stepped it up a notch here. I really enjoyed the HOS; they were far from the boring standard junkpile and, in fact, were really fun. They were pretty much all word list junkpile or jazzed up versions of it (such as finding pairs or spoken word lists) but were really enjoyable to play and probably my favourite thing of the game. They were well spaced out, but the quantity leaves a bit to be desired. There were only 11 HOS in the game. I would have liked at least 4 more. Actually, the quantity of things was a recurring problem throughout the entire gameplay component. I think Elephant needs to add a few more HOS to their next game, especially since the HOS in here were so fun. The puzzles were a bit of a hit and miss for me. I liked some of them, but not others. This was mainly because the majority of them were the same old bore that I've seen time and time again. Elephant did try to save themselves and add a couple of new puzzles towards the end, and while I LOVED these, it wasn't enough to change my impression. Because they were the same old, they were both boring and easy and affected my enjoyment of the game. Thw quantity of puzzles was okay. There were 21 all up in the main game, and that's not counting inventory item minigames or the card games (the latter I really enjoyed). In comparison to the amount of HOS, this is disappointing. I would have liked a couple less puzzles, actually. My big disappointment about this game is the adventure component. Why? Because it's so minimal. At the start of the game especially, it was almost nonexistent, and what there was was quite basic. While the adventure component did improve as the game wore on, it still wasn't enough. i seemed to bounce from HOS to Puzzle and back again with only a small bit of adventure in between. This was really disappointing. Perhaps it's because of the lack of adventure and the basic nature of it that I found this game to be really easy. Even on advanced mode, there was not much challenge at all, especially when this is compared to the earlier Surface games. Surface 1 & 2 were actually some of the most challenging and adventure-heavy games I've played, so I'm left wondering what's happened here. Elephant, please return us to the games like the early Surface series! They were so much better. The good thing about the difficulty of this game is that advanced mode does not indicate tasks on the map. This actually happens in quite a few advanced modes, so I'm pleased it didn't here. However, the no map indicators did nothing for the difficulty. There is only the one additional feature here and that is the complex objects. These are pretty much a standard these days, so I wasn't surprised to see them. However, they were not executed as well as I'd like. Unfortunately, they were picked up and used in the space of a couple of minutes, which is just a testimony to how minimal the adventure component was. I think they should have stayed in my inventory a while longer. What I did like about them was that there were never more than two at a time. Elephant have overused special features before, so I'm glad they've learned their lesson. The lack of additional features doesn't worry me at all, because I know an animal helper would have taken away from the creepiness of the series. The closest this game got to having an animal helper was having one sit in your inventory for 2 uses and then leaving. But that's not enough to qualify it as a feature, in my opinion. The basic features have been done well. There is a diary, which is great for keeping track of events. There are also 4 modes of difficulty, including custom. The map does its job well on the lower difficulties but does not show map indicators on advanced, which is fantastic. Hint works well outside HOS & acts as teleporter. The graphics are great. The scenes are so detailed and very creative. I liked the different scenes the developers thought of and the elements that grew with them. The snowing scenes were especially realistic. I almost felt cold! The scenes are clear and some great colours are used. Unfortunately there are no live actors, unlike previous Surface games (1-4). I am hoping they will make a return in the future. I liked that the developers gave the animated characters lip-synch though. The voice-overs are standard. I have no issue. But for the most part I found the music to be way too loud and obtrusive. It was just way too annoying. I had to turn it right down to about 15% before I got it right. I was constantly adjusting my PC volume too. It was just way too much of a hassle. This always seems to happen in Elephant games. I hope they fix this issue. FEATURES 4 modes of difficulty: Casual, Advanced, Hard and Custom. Differences are standard. I didn't like the custom option, so I played Advanced. Hint/Skip- Both recharge at a decent speed for the selected difficulty, and the hint is very helpful outside HOS. I liked how it acted as a teleporter. Diary- Great for keeping track of events and provided some nice insight in to the character's thoughts. Map- The map is interactive. It does not show task indicators on advanced, which is great. + Objects- Not done too well. There were a good number and never more than a couple at a time, but they were picked up and used after a few minutes. I liked how some had minigames. WHAT DO I MISS OUT ON IF I BUY THE SE? Bonus Chapter- The main game ends with the setting up of the bonus chapter, so some may feel ripped off, but it is not necessary for the story. The Bonus Chapter is a direct continuation of the game. Built-in Strategy Guide- I got on fine without it. It shows locations of collectibles but not HOS pictures. Achievements Shop- Called the “Bonus Room”, I believe. You can buy stuff to decorate the room with collectible flowers as your currency. Collectible figurines (13) Wallpapers Concept Art Soundtrack WHICH IS THE BETTER BUY? The CE content did not interest me, so I went with the SE and was extremely happy with it. I advise you to do the same if you have not bought this game yet. I just found looking for collectibles to be too distracting. ON THE GAME LENGTH This game was a good length for me. I think I finished it around the 2.5 hour mark on advanced mode, maybe a bit longer. I didn't feel the game was too short at all. This game is the proof that the Surface series I know and love has returned. I thoroughly enjoyed this game and it is among my favourites of 2014. I am giving it a four star rating- full rating 4 and ½- mainly because of the lack of HOS & adventure component. If the adventure component had been more prominent, this would have been a five star game. All that aside, this a brilliant installment. Rated 4 out of 5 by StarFishFan from Different; in a great way! This game really engaged me from the start. It has a very unique feel and the story line drew me in. As another reviewer mentioned, it seems to start a bit slow, but picks up quickly once the 'game' is on. 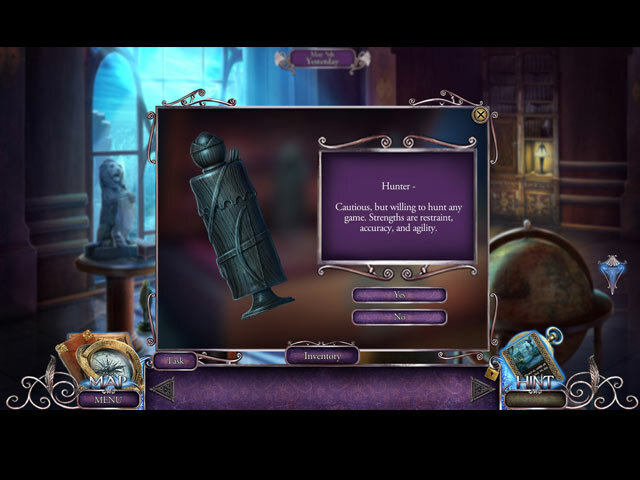 The HOS are varied and the puzzles are very doable. Time wise, it took me 4 hours on advanced setting without skipping any puzzles. The ending did feel a bit rushed, but I wouldn't let that dissuade you. It still ranks as one of my favorites in quite a while. Rated 4 out of 5 by ldysteele from Intriguing I like the concept. The storyline was very intriguing. Rated 4 out of 5 by PATinPNS from What a Surprise This is posted after playing the entire game. I wasn't real sure about this one, but I have the rest of the Surface series and enjoyed them. The demo seemed so short I didn't get a feel for the game, so I took a chance and I'm glad I did. I enjoyed the game. The graphics were, okay. The people weren't very realistic, but everything else was great! The backgrounds were clear and very pretty. Voice overs and effects fantastic. You know, it just dawned on me, I didn't pay any attention to the music. You're on your own there. It is an easy game. Perfect for me. I don't do these for the challenge as much as the relaxation and enjoyment. I even played most of the mini games and I hate those things. 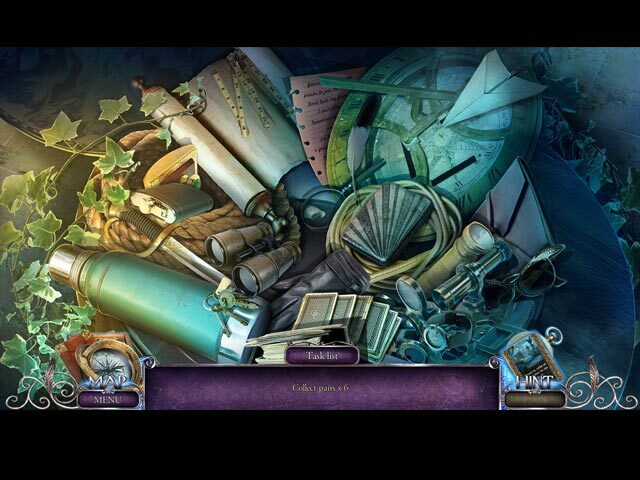 The hidden objects were of different varieties which was nice. Not just pick from the list for a change. You have an interactive map which shows areas there you have something to do, perhaps not right then, but eventually. The hint will show you where there is something to do right now and even take you there. You'll pick up little helpers along the way who assist you in your quest to defeat the gods. Big Fish does a great job telling the story so I'll not bore you with repeating it. The story had me from the beginning and held me all the way through the game. I was a tad bit disappointed in the ending, but perhaps they are leaving it open for a sequel. The story was easy to follow and accomplish tasks. All in all this is another winner for Elephant. Rated 4 out of 5 by Granny_Gruff from You Said It, Brother! Yes, this is Jumanji on steroids for sure - but that is a good thing. There are four levels of play, lots of mini-games, HOPs, and a storyline that may deliver. I played the demo in less than half the allotted time and suspect this will not be a long game. But I've enjoyed the other "Surface" games and will buy this one also, as an SE. Rated 4 out of 5 by smazco from A step above the normal Hidden Object Game Slightly different than the normal game, the HOS are a little different and the story line is interesting. I'm glad I bought it. Rated 4 out of 5 by ethan1404 from Good game I bought and played this as a CE game but found this game visually beautiful, ran beautifully on my laptop, but as of late, even in HARD mode, too easy and finished to quickly. It is an ELEPHANT game so had high expectations, most were realised but are our good DEVS now expected to "push" them out too quickly? This was way too easy, even in HARD mode. Way too short, enjoyable but all of a sudden, a few hours later, I had finished it! As this is offered as an SE game well worth buying, as all ELEPHANT games are but was disappointing as a CE game. Visually, beautiful, ran smoothly, no "bugs" on my laptop, and well worth purchasing. Rated 3 out of 5 by annieliz1 from Gods not up to usual deity standards I am glad I only played this on the daily deal; if I had paid the full price I would have been disappointed. That said, it was playable but had little depth to the story. It gave me no great joy to play but was just about good enough to play to the end. Seemed like a hastily thrown together game however. Rated 3 out of 5 by zeldaqn from hmmm usually I like the surface games but there is something about this one I don't care for. The font is so small on hos that I can't even see them, and I don't even wear glasses. It was too much of a struggle to play, so I'm erasing without finishing. Rated 3 out of 5 by EmiMoo from Great start but the excitement dwindles shortly after . . . The storyline of the game had a strong, exciting beginning that was also eerie in a fun way. The eerie didn't last very long and although the rest of the game was interesting, it wasn't captivating like the beginning. 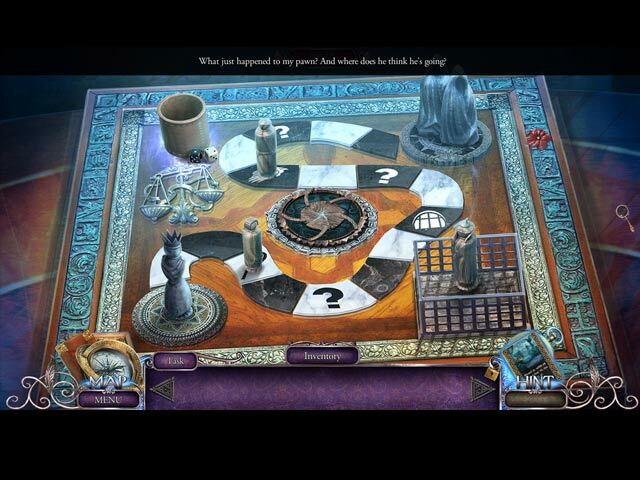 I prefer games with many puzzles and few HO scenes. The puzzles weren't very challenging and the number of HO scenes was close to my tolerable limit. I didn't have a problem with objects being too tiny to see or the scene being too dark. I got stuck briefly a few times because I overlooked some object that I needed to pick up. Overall the game was something to do for a few hours but does not have replay value to me. The ending was very abrupt and I'm guessing the CE bonus chapter better explains the ending. Rated 3 out of 5 by jEMSW from Too Short Enjoyed the other 'Surface'' games, which is why I purchased this one. Unfortunately I found this game a little too easy. I am not all that proficient in playing these games but finished this one in only a few hours. Rated 2 out of 5 by Tflo from Misleading I thought this game would be much more exciting and fun then it turned out to be. It begins like the movie, Jumanji, so I expected it to be fun and exciting. That isn't exactly what transpires. The challenges are super easy and weak at best. The story line wanders off into areas that are nothing like the beginning of the game. Very misleading and disappointing. Rated 1 out of 5 by missminerva from Custom mode still has sparkles This is the most maddening thing for me. I do not want sparkles of any kind. But, even in custom mode, where I unchecked all sparkles, there were still little glints on everything you're supposed to do. I also unchecked show tasks. And guess what I got? Yep. Tasks. I don't want my hand held. Very disappointed in this Elephant game. 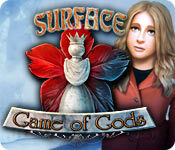 The other Surface games were very good. This one.....nope! Rated 1 out of 5 by quilter777 from Dark and Ugly Played for short time, entire game is dark, dreary and mean spirited. The storyline starts depressing and rapidly goes downhill - whoever came up with this game must have a pathetic life story.